Just a little reminder that today is the last day to pick up your free upgrade to Windows 10. If you haven’t done so I recommend you do. The anniversary update is just next week. It includes a lot of new and exciting features for home and business users alike. I will have my review posted soon to the site, but the update goes live Aug 2nd. 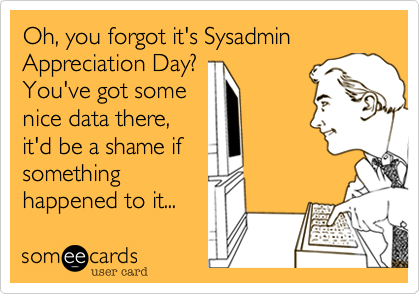 On a side note: For those who don’t know today is Sys Admin Appreciation Day or SysAdmin Day. It comes once a year the last Friday of July. 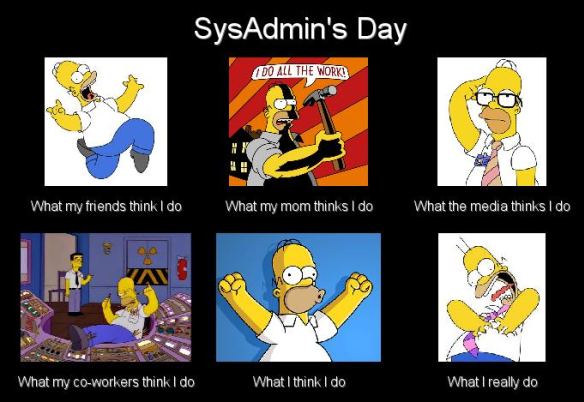 Take a second and thank a Sys Admin for what we do. Just a simple thanks is great, a cold microbrew for after work is even better. For those of you Sys Admins out there, thank you for keeping the systems running so we can write email, go on Facebook, catch Pokémon, play Xbox, etc.